Assorted group of five (5) silver birds and animals. 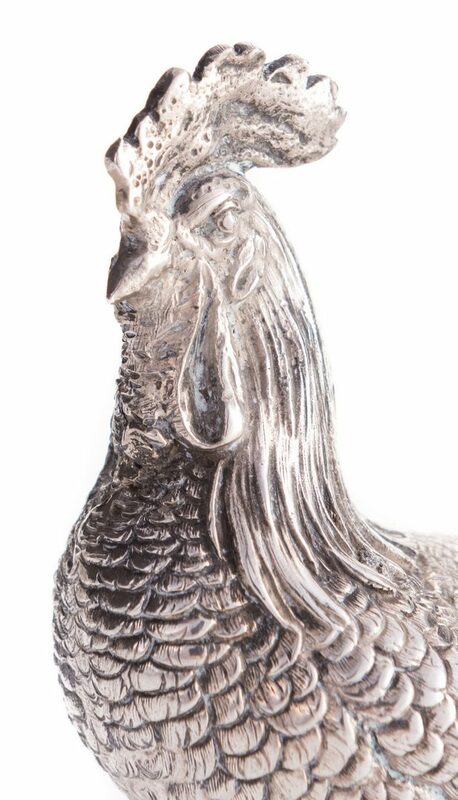 1st item: German 835 silver ram with bent head, maker's mark on base of hoofs, 4.135 oz troy. 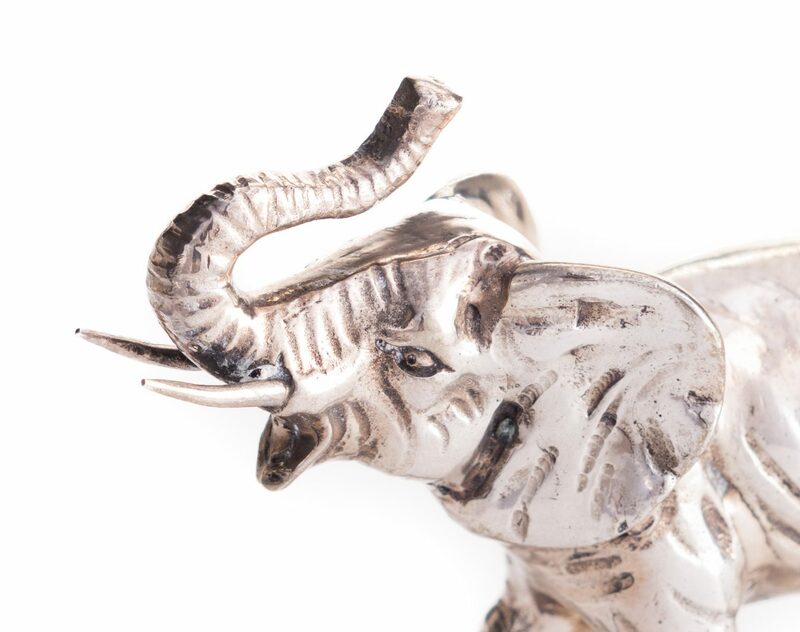 2nd item: Small German 800 silver elephant with raised head, marks on base of foot. 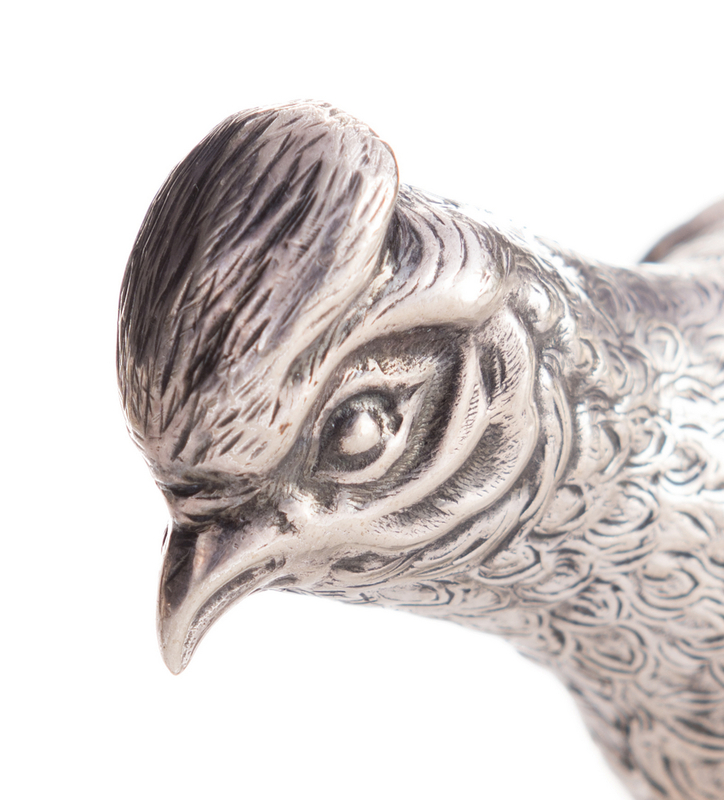 3rd item: 800 silver rooster, country origin unknown. 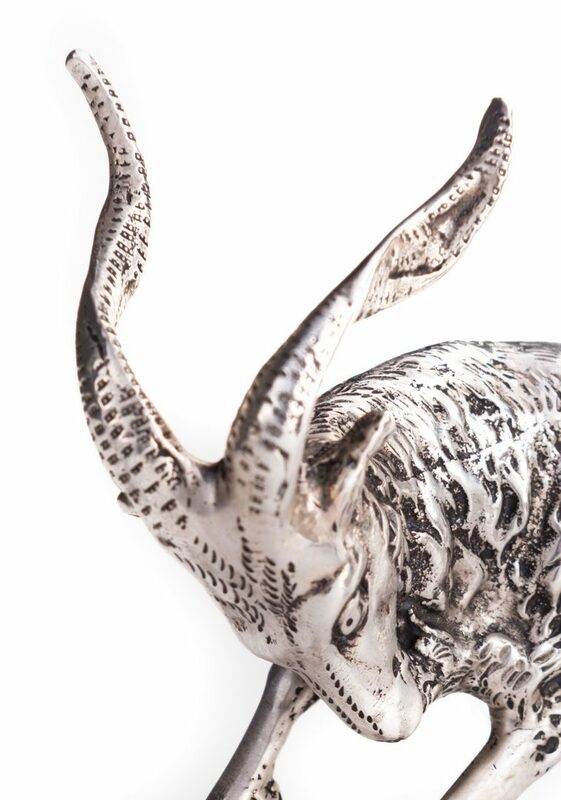 Weight of elephant and rooster: 6.98 oz troy. 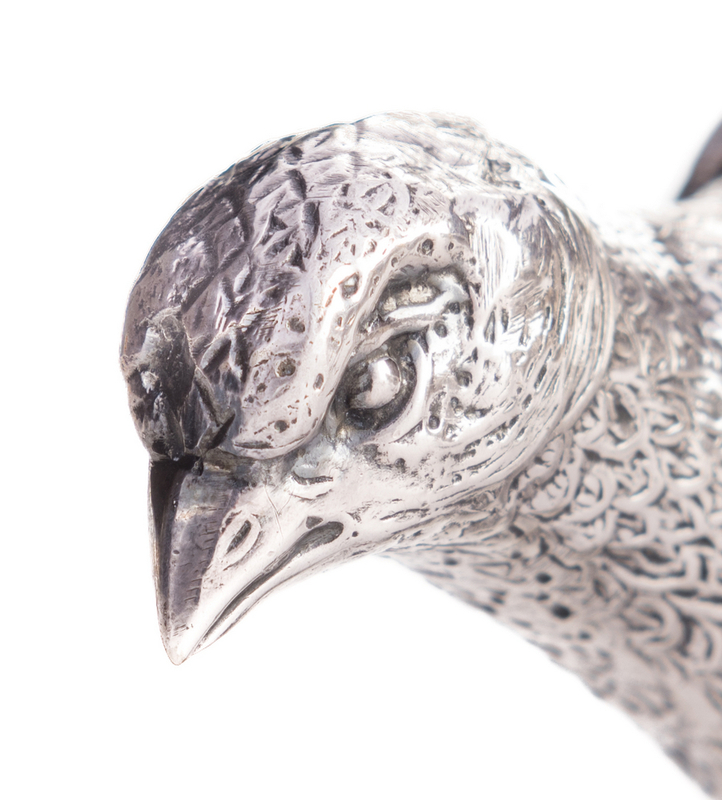 4th-5th items: Pair Wallace & Sons silverplate pheasants with hinged wings, marked EPNS 52 and 52A on base of tails. Sizes range: 2-1/2" H x 1-1/4" W x 3-1/2" L to 3" H x 2-1/2" W x 10-3/4" L. All 20th century. CONDITION: All in very good condition.